Ernakulam located in central Kerala is known for the city of Kochi. A major commercial hub, the city has grown to be the financial centre of businesses. 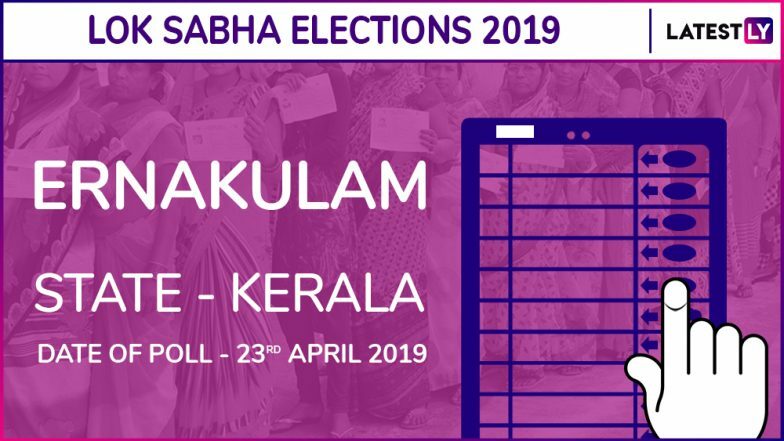 Ernakulam is one among the 20 constituencies in the state. Elections will be held in Kerala during the third phase on April 23. The constituency number of Ernakulam is 12. Ernakulam Lok Sabha constituency comprises of seven assembly segments including Kalamassery, Paravur, Vypen, Kochi, Thrippunithura, Ernakulam and Thrikkakara. Union Minister Alphons Kannanthanam is Ernakulam's NDA candidate, an alliance led by the BJP. P Rajeev, who was a member of the Rajya Sabha from 2009 to 2015 will contest from a CPI(M) ticket. He was the Ernakulam district secretary of the CPI and member of the CPI (M) state Secretariat. Check Full Schedule of Lok Sabha Elections 2019. Sitting MP and former Union Minister from Ernakulam, KV Thomas against whom anti-incumbency sentiments are rife, won't be contesting the elections this year. KV Thomas had won in both 2009 and 2014 elections. Instead, young legislator Hibi Eden has been fielded by Congress in Ernakulam. In 2014, KV Thomas had defeated Independent candidates Christy Fernandez and BJP's AN Radhakrishnan by a large margin. The Lok Sabha elections 2019 will be held between April 11 and May 19 across the country in seven phases. Voting will be held in Kerala during the third phase on April 23 in a single phase. During the third phase, the polling is scheduled to happen in 115 Lok Sabha constituencies of 14 states. The counting of votes will be held and results will be declared on May 23.